Waterstone represents several Destination Management Companies in Italy and Latin America, and we’re proud and delighted to announce the addition of another DMC to our portfolio, namely Luxury Experiences Turks & Caicos. Owned and operated by husband and wife team, Val and Susan Kalliecharan, Luxury Experiences Turks & Caicos is 100% dedicated to the travel advisor channel and provides a full complement of DMC services, with a range of unique benefits exclusively available to their travel advisor partners. Val and I sat down recently to review their exciting new business proposition. 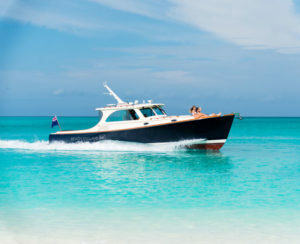 Val, you and Susan have such a wealth of knowledge of the islands and extensive experience in providing reservations and tourism services on Turks & Caicos. What led you to the decision to launch Luxury Experiences Turks & Caicos at this time? In short – direct feedback from travel advisor partners. We have worked on the islands for almost 10 years and have gained the trust of hotel and tourism providers as well as the endorsement of the nation’s Tourist Board and Hotel & Tourism Association. But an increasing number of our travel advisors were telling us that they wanted a more comprehensive full service solution, so they can offer their clients a more complete well thought out itinerary that curates not only the best suited resort property, but the entire island experience. One that centers on the client from the time they step foot on the islands at the airport, to reservations at hard-to-get-into restaurants, recommendations on activities and tours, and only using vendors that have been vetted and truly know how to handle luxury clientele. They want to add value to their clients’ stay by offering off-the-beaten track experiences that only a ‘local’ will know about, and they want to deal with a single one-stop shop entity for the complete itinerary. Our goal is therefore to put travel advisors back in control of the complete guest experience through our ability to execute with confidence on their behalf. As a full service DMC what services are you offering travel advisors ? For travel advisors, we’re really all about positioning ourselves as a trusted and experienced partner that they can rely on in the destination, to help them plan and book and manage all aspects of a guest’s experience in the islands. This includes booking the hotel, resort or villa, the tours and activities, rental car, VIP airport service, airport transportation and those hard to get into restaurants. Travel advisors can book with confidence, knowing their clients have a local contact to continue servicing their clients in destination for questions, changes or additional itinerary elements booked by the client, which would all be commissionable back to the travel advisor! Describe some of the unique benefits for travel advisors in working with LET&C? It’s hard to stay ‘in the know’ without being ‘on the ground’. Especially on a small island like Providenciales, dynamics change regularly, there’s new restaurants and vendors, management changes, etc so travel advisors benefit from getting reliable, updated information, in real time. Also, we work with a very impressive portfolio of resorts, villas and vendors, and have excellent relationships with them; this means that advisors have a pipeline of inventory that they can immediately leverage for their clients. And of course, Luxury Experiences highlights and profiles the advisor role through many touch points during their clients’ vacation, so that they are continuously being subtly reminded of the travel advisors role from in-room amenities to personal cards in restaurants. All of this of course, with our aggressive 15% commission policy on ALL elements of the itinerary and ‘Agency of Record’ on any future client inquiries. Not forgetting the 10% commission on any additional activities booked by their clients during their time in destination! We all do business with people we like. Tell our travel advisor readers a bit more about you and Susan and your business philosophy? We’ve been fortunate to live by the world’s best beach (Grace Bay) with our young family for almost a decade; so our philosophy is actually quite simple. Based on first hand experience, we have handpicked an exclusive collection of Turks & Caicos’ crème de la crème that demonstrates superior customer satisfaction, and we collaborate with advisors to engineer a customized itinerary, meticulously planned and executed with the utmost of thoughtfulness and care (here, especially, is where you see what we’re made of), and thereby allow the advisor to provide seamless service excellence for their clients. The stunning beauty of our islands will take care of the rest, and more business will naturally follow. You have been very careful in selecting the hotels, and villa partners you work with. How does that tie back to your business philosophy? In the Turks & Caicos Islands, nature itself is our biggest asset and attraction, so the destination really sells itself, but what really enhances the guest experience is to have a base where the hallmarks of hospitality are absolutely upheld and respected. Service standards, excellence in leadership, resort/villa amenities/ambiance — these are all criteria that we evaluate on an ongoing basis to ensure that we work exclusively with the very best that the destination has to offer. This all stems from where you’re staying, so it’s a critical part of the overall execution of the vacation. We also have a pulse on market trends within the luxury travel segment, so for example the portfolio of luxury villas that we offer has been of particular interest to many advisors! Advisors can visit our website to learn more about each of our hotel, resort and villa partners. What are some of the ways that advisors can learn more about LET&C? We’re committed to supporting our travel advisors. We understand the need to have current product information, and to be kept abreast with timely updates on what’s happening within the destination — new flights coming in (Southwest starts flying into PLS this November), new resorts, changes of management groups, restaurants, tours and services. We recommend travel advisors subscribe to receive our newsletter and blogs in order to remain updated on these changes. Advisors have a resource (in us) that they can lean on if they need advice or check any nuances about any aspect of a client’s vacation, and ultimately, sell with confidence! It’s not uncommon for us to take a quick drive to a resort, and snap a few live photos and videos with our phone for an agent to send to their client to help close the sale! Our website will be updated regularly and advisors can download our electronic brochure that gives a good introduction to the company. We are conducting a ‘get-to-know-us’ webinar on Wednesday December 13th and we encourage everyone to register and learn more about how we want to help make the travel advisor shine in the eyes of their clients. It appears Turks & Caicos were less impacted from the recent hurricanes, than some sister islands in the Caribbean. How can travel advisors understand the current status of the destination and properties readiness for arrivals? A lot of advisors are asking us about resorts’ re-opening schedule this fall after Hurricane Irma and Maria (click here for an updated schedule – or contact us for a speedy response), and an increasing amount are realizing that the media has labeled the entire Caribbean as the affected area, and that is not actually the case. We’ve been in a fortunate position to handle displacement situations. All the while, our team at Luxury Experiences continues to donate and support our other Caribbean brothers and sisters, and wish them a speedy recovery. 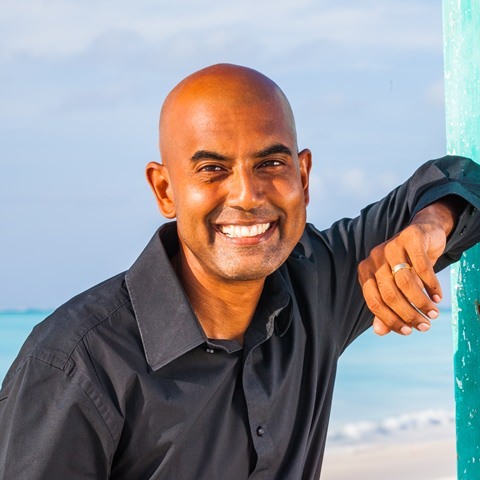 I hope you have enjoyed my chat with Val Kalliecharan and have a better understanding of this exciting new DMC in Turks & Caicos. I encourage you to learn more from the brochures and webinars, but then give Val and Susan a call. I have every confidence they will treat your clients with the utmost grace and and look after their every need throughout their entire stay on these amazing Turks & Caicos Islands! If you need additional information, please call me at 800-528-6069, or send me an email: [email protected]m.